The international event sees participation from countries such as Germany, United States, Britain, France, Australia, Netherlands, Japan, China, Thailand, Singapore and Brunei. 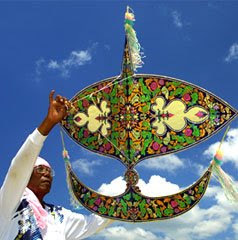 There are 11 types of kites (locally known as Wau), to be competed in three competition categories of local, national and international levels. The festival will also feature expo and sales carnival, fishing competition, cultural performances, water sports and many others.